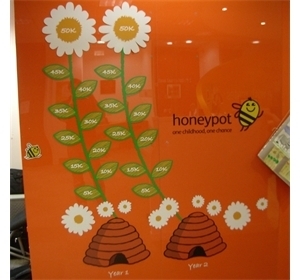 Window and Wall Graphics or Text, using images to print or spot colour to enhance your school. Full design and artwork services included. Specialist advice before we manufacture. Traditional and modern designs and images. Hi res printed and spot colour self adhesive vinyl. For use outside or indoors. Designed to be eye catching and effective. 'Contra' one way or Frosted vinyls are also available. Use your own hi res images or library graphics. 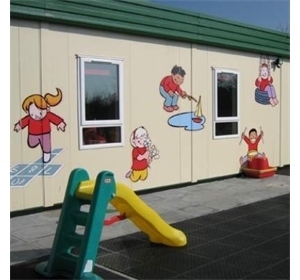 Window or wall graphics can be made from photos of the students or special events, your library images or designs in spot colour or frosted are always successful in brightening and promoting your school. 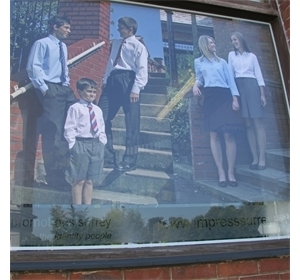 We can take almost any image or photo, print it onto our self adhesive vinyl and apply that to windows, larger areas of glass or almost any smooth surface to promote or improve the appearance of your school. 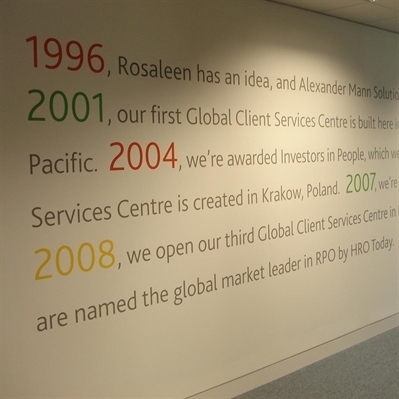 From individual words from the school motto to passages from a well know author or book, we can take the text and transform it into sign writing for your walls or windows, in a wide range of colours and styles to promote or reinforce the school's ethos. 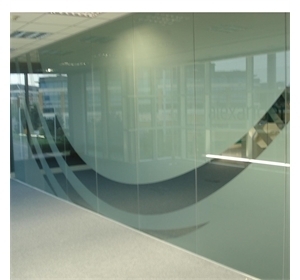 Our large format print machines will print high resolution images onto exterior and inside grades of self adhesive vinyl or cut spot colour vinyl that can be fitted to almost any smooth surface.